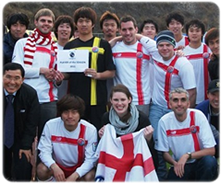 Ansan Foreign Supporters Club was formed as a means of bringing together foreign football fans in the city of Ansan. Members starting going to games back in 2007, and the supporters club was declared alive at the tail-end of the 2008 season. The original AFSC logo served a purely functional purpose to promote the group on social media. 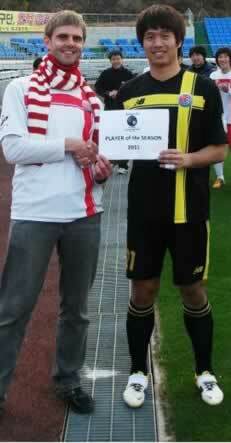 It mirrors the taeguk featured on the Korean flag and the Ansan FC club badge at the time. The club gradually grew in numbers and gained acknowledgment from the football club, including free shirts for members, ticket deals and transportation for away members. AFSC began giving a player of the season award in 2009, and this was adopted by the football club in the 2011 season, being won by goalkeeper Kang Jinung. During the time, AFSC adopted white and red as its official colours to reflect the team's kit. 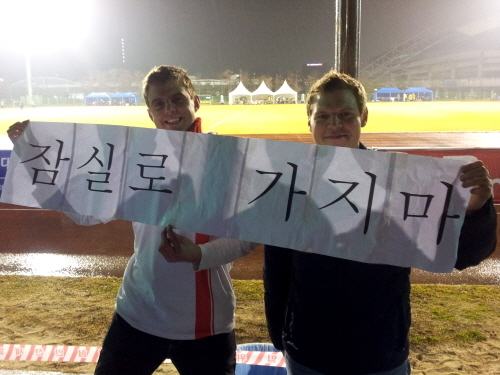 Prior to the 2012 season, speculation that the team would be moved to Jamsil grew, and AFSC's protest banner was noticed by the media. This was eventually rubbished but during the summer, it was revealed that the team was moving to Goyang. However with much of the move reportedly being down to Ansan City's reluctance to keep the team, the FSC group maintained a good relationship when the team moved to Goyang city. 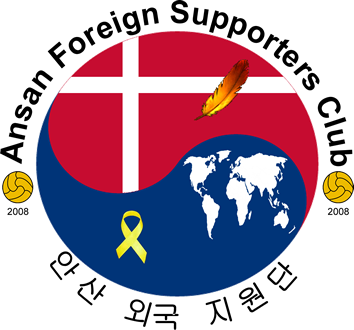 During the 2013 season, Ansan no longer had a team, effectively ending AFSC. 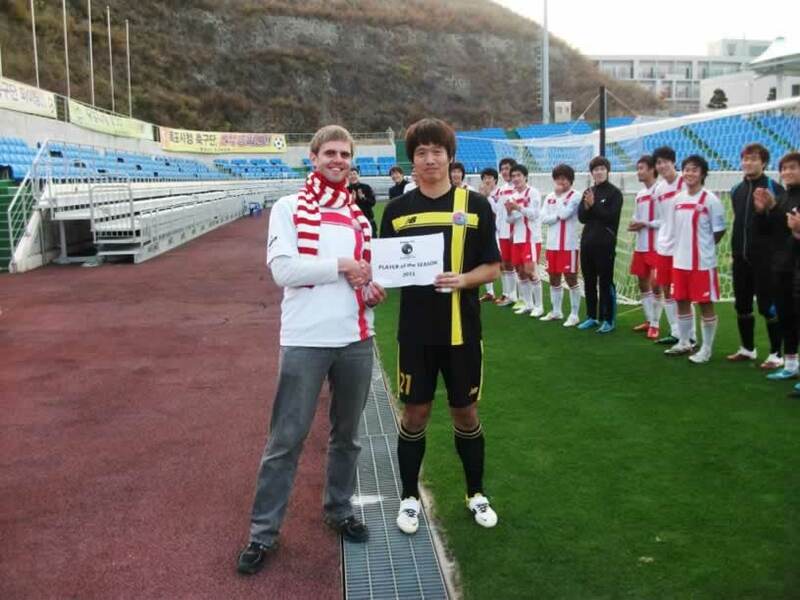 Members attended some of Goyang's games however, wearing the white and red colours and displaying Ansan banners. In 2014, the Police franchise moved into Ansan, with the city giving the team more backing and continous use of the main Wa stadium. AFSC officially reformed in July 2014, and began attending Wa Stadium games again in earnest. The club decided to maintain the white and red colours as the official supporters colours in honour of the history of football in Ansan, despite the new home shirt being blue. The new AFSC club logo continues to use the Taeguk design, but now includes symbols of the club's history. The white cross is a nod to the original Ansan Hallejujah FC badge, and the adopted colours of the supporters club. The phoenix feather symbolises the rebirth of the club, while the world map reflects that the club is aimed primarily at foreign supporters. The yellow ribbon is in memorium of those who lost their lives in the Sewol ferry disaster, a majority of whom for students at Danwon high school in Ansan.